President Obama just effectively freed Chelsea Manning from the 32 remaining years in her jail sentence, according to the New York Times. While it’s not a presidential pardon, the commutation of Manning’s sentence will see her go free in just five months. 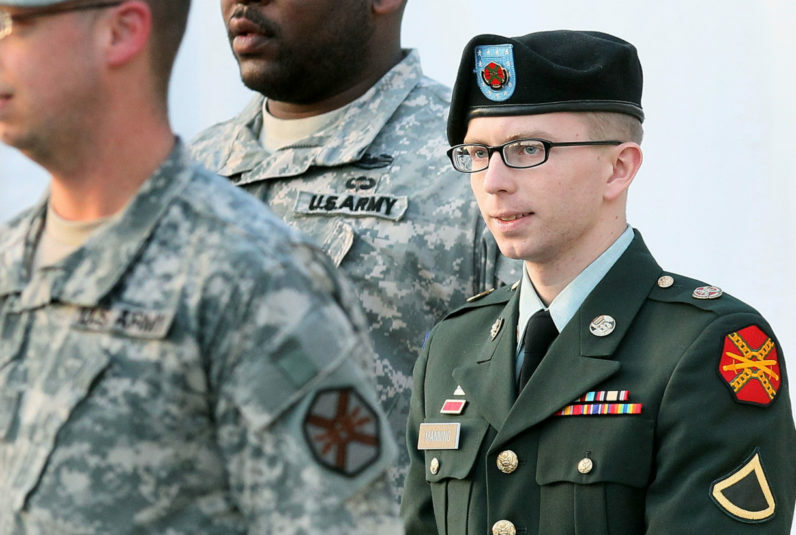 After leaking more than 700,000 documents that exposed American military and diplomatic actions worldwide, Manning became a polarizing figure. The document dump was ultimately published by Wikileaks and included atrocities such as the 2007 video later dubbed “Collateral Murder” that saw US military open fire on innocent civilians — including a journalist from Reuters. The 30mm cannon was seen firing shots from a helicopter at those trying to recover the injured, and even a van containing children. The document dump put Wikileaks and Julian Assange on the map, and landed Manning in the US Disciplinary Barracks at Fort Leavenworth in 2013 to serve a 35 year sentence. In the three years that followed, Americans are no more united on whether Manning should be protected as a whistleblower, or left to serve the remaining 32 years on her sentence. President Obama, with just four days left in office, seems to fall on the side of the former. I am Chelsea Manning. I am a female. Given the way that I feel, and have felt since childhood, I want to begin hormone therapy as soon as possible. The Army denied this therapy, much to the dismay of activists worldwide. After a lawsuit, Manning was approved for hormone therapy in 2015. A year later, she launched a hunger strike demanding gender reassignment surgery, which the military approved just five days later. Throughout this period, Manning has been a mainstay on suicide watch and has made attempts to take her own life on at least two separate occasions. Throughout her incarceration, advocacy groups worldwide pined for her release. Many felt Obama might have been the last hope for her freedom, with Trump taking a decidedly less kind view, so far, on whistleblowers like Manning and Edward Snowden. After today’s announcement, Manning is set to walk out of prison on May 17 and — we can only hope — regain some semblance of life beyond prison and/or the military. What remains to be seen is whether Julian Assange, one of America’s most sought after targets will make good on his pledge to surrender himself if Manning were freed.